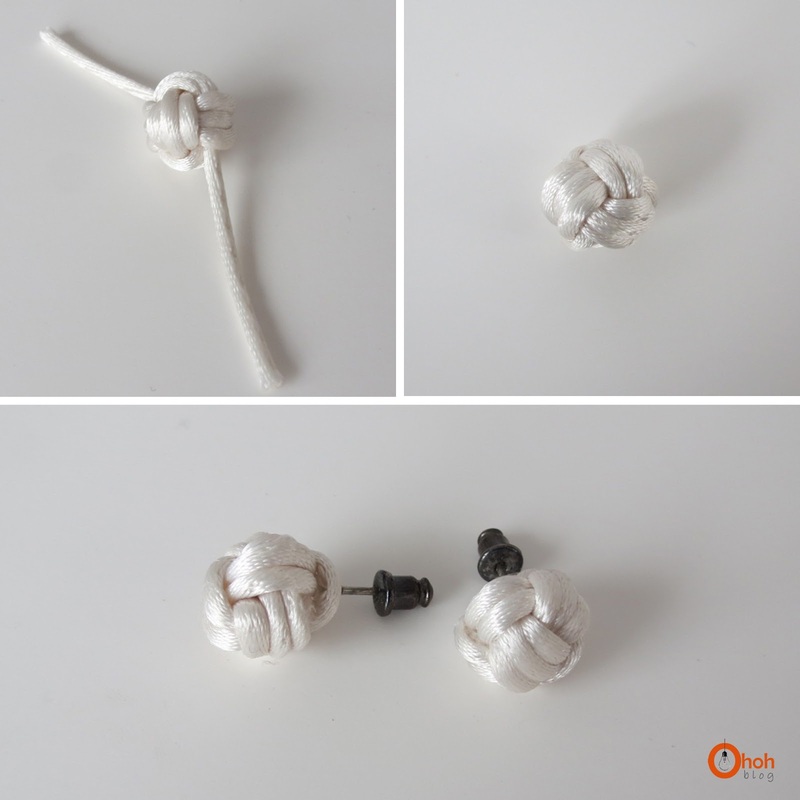 I’m not done with knots yet… it’s addictive once you start! A nice idea to keep you busy this WE, making knots earrings! Rat tail cord (any color), glue, earrings supplies. 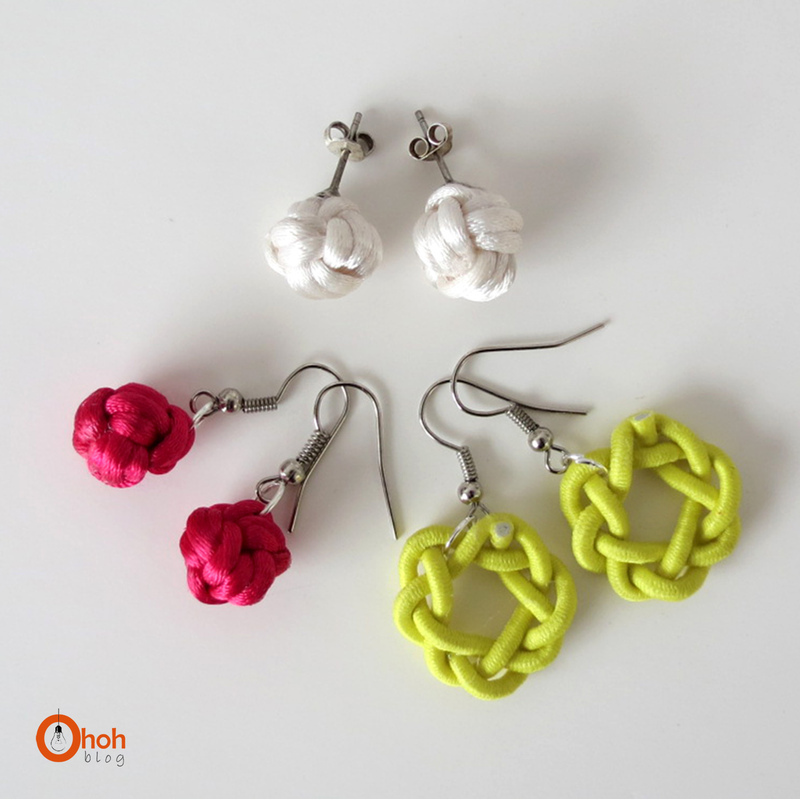 To make the white and pink earrings I made the monkey fist knot (just the knot I did’t put a small ball in the center). The knot it’s quite easy to realize, but its take a little more time to adjust because of its small size. Once the knot is done, cut and paste the ends. After glue the earrings supports, I used silicone glue. 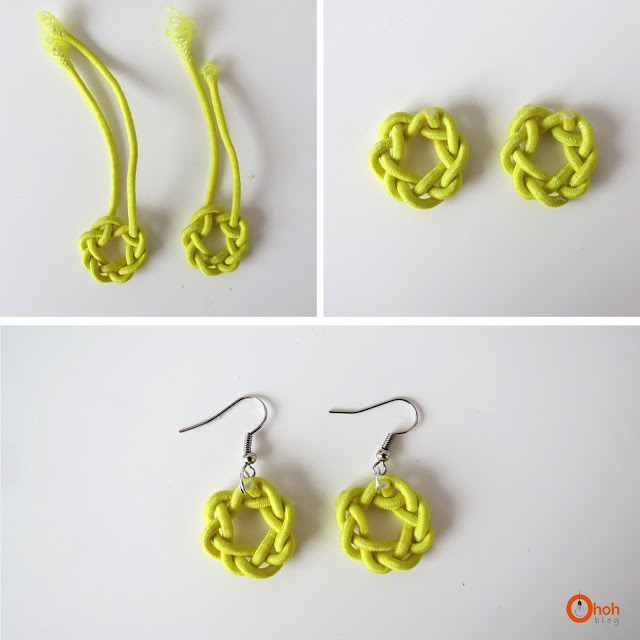 I made an other pair using the keyhole knot. I used elastic, but this is not practical at all, the rat tail cord works much better! By mixing different nodes and colors you have endless possibilities, I hope you like it, have a great weekend! J'organise un petit défi sur mon blog si cela te dit ? Chouette idée, et j'aime bien le thème de cette quinzaine…je vais essayer de trouver un peu de temps pour participer! 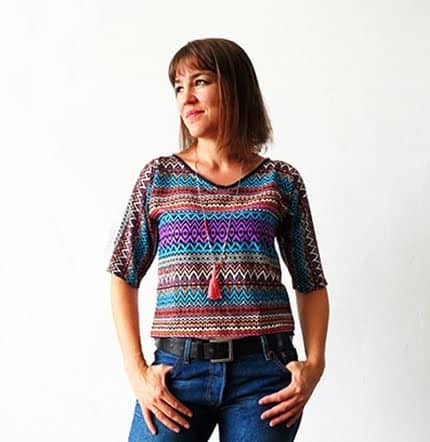 so funky, thanks for sharing! 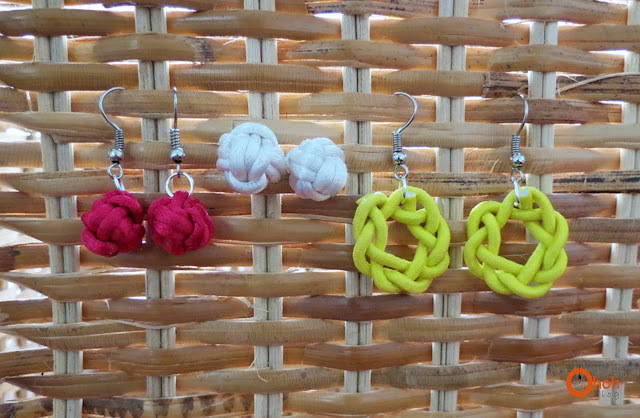 I really appreciate the idea of knot in earrings. I like the designs, we can make it quickly in different colors. thanks for the tutorial. I ve been searching for one for a long time! Cannot wait to try it!!!! Would it be possible to glue the post inside the monkey’s fist knot to give it a bit more security? I guess you just have to slide the post inside the knot with a little glue. Let me know how it works if you decide to try.